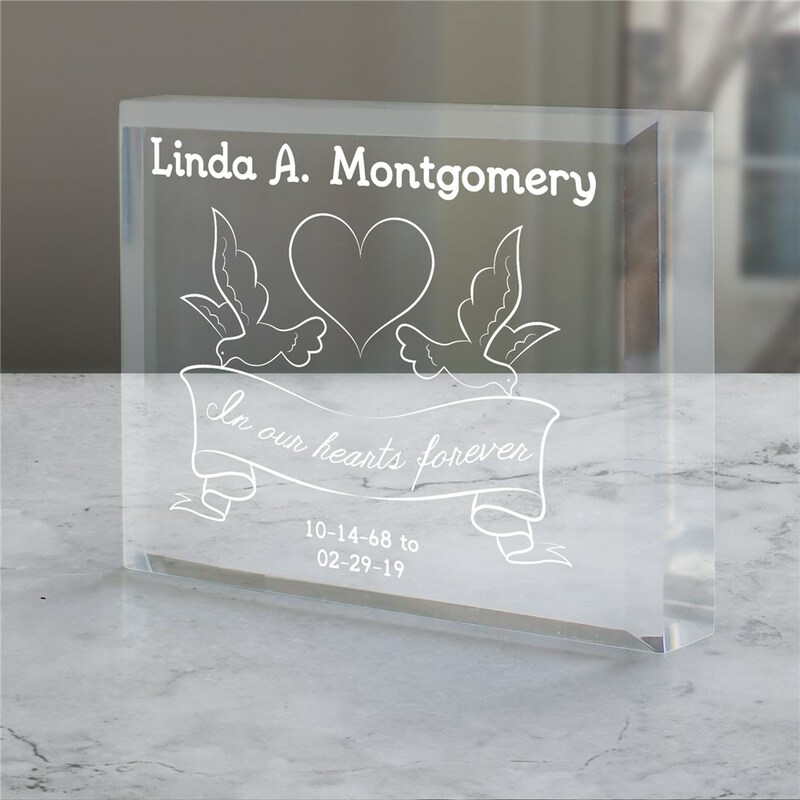 The loss of a loved one is incredibly devastating, but this beautiful memorial keepsake will keep your lost friend or family member in your heart forever. Display this stunning keepsake in your home as a reminder that this person will never be forgotten. Personalize this memorial keepsake with any name and memorial dates. Ordered for numerous family members and they too were very happy with product. A very pleasant remembrance of your lost love one.